Yet, for all the pre-conceptions, it is a hugely important part of the production and broadcast chain and theres nearly always something interesting to read and write about. This article is, hopefully, no exception. Ladies and gentlemen I give you: Camera T&M. How so? If youre sitting comfortably, I will begin. As a scene is being shot, a DoP, filmmaker or camera operator has to know how to interpret the colour and brightness of the image, work out if it is in focus and, ultimately, decide how it will look on screen. A decent monitor or viewfinder will give him or her a fair idea but it is not always possible (or appropriate) to trust your eyes for this task because they can make certain allowances. Eyes are clever like that. In this scenario, T&M is the answer. You probably wouldnt call it that on a day-to-day basis. But that is what is required. To check the image you would probably need two T&M tools in particular: a vectorscope that will show you just how saturated your image is and where the pixels in the image land on the color spectrum; and a waveform monitor that converts video signals to waveforms (obviously), representing brightness and saturation levels in order to show the luminance (or luma) information from the image. Using these tools it is possible to accurately envisage overall exposure range and produce clear, colorful shots, regardless of what you are filming. Particularly well-suited to a DSLR, a Sony F3, a RED or just about any other digital cinematography camera, the TVlogic VFM-056W is a 5.6 HD LCD monitor with HDMI and 3G HD-SDI inputs including HDMI to HD-SDI loop-through. It also features a Waveform and Vectorscope with Luma and Chroma display plus a Luma (Y) Zone Check and range error. Specifically designed for on-camera operation the LV 5330 is a multi-SDI test monitor with picture, waveform, vector, audio and status screens that can be displayed individually or in multi-screen representations. Cinelite and Cinezone are also included to provide measurements that are fathomable by technical and operations folk alike. A screen capture function is also included. The SWIT S-1070F is a 7-inch LCD monitor with a TFT screen that has a resolution of 1024x600. Switchable between 16x9 and 4x3 it has HD/SD-SDI and HDMI input and loop through output plus Waveform, Vectorscope and an RGB Histogram. The HDW7 has a hi-resolution 1280 x 800 HD IPS (In-Plane Switching) panel that offers extremely vivid, clear pictures and a stable response time, displaying consistent and accurate colour from all viewing angles. It has waveform, vectorscope and RGB parade. The MR7 is a rugged 7-inch 1024 X 600 field monitor that includes a built in H.264 recorder with 4GB of internal memory. Alongside 3G-SDI, HDMI and Composite inputs it has Waveform, Vectorscope, RGB Parade, VU Meter and it supports 2k. The 17-inch V-R171X-DLW is not only 3G capable it also features Dual Link, HD, HDMI and SDI inputs and both Waveform and Vectorscope data. In Quad-View mode four quadrants are available to show Audio Bars, a Waveform Monitor, Vectorscope and live video all at the same time. Weighing less than 3kg the WFM5200 is a compact but top-end product. Alongside Calibration and Error, Content Correction and auto-detection of HD or SDI Signals, it has a 4-Tile Display mode that allows the user to overlay the waveform and vector, or waveform and lighting displays, with image thumbnails. A 7.7-inch 1280x800 OLED Display, the DP7 features a waveform monitor that can be repositioned around the screen and a large vectorscope that provides a detailed view of the color balance in a shot. The gain may be increased to magnify the vectorscope. This helps to keep colours within safe broadcast limits. The DP7 also has Zebra and False Colour tools as well as Focus Assist/Peaking. You dont actually need a separate monitor in some cases. The hugely popular Canon XF305 camcorder, for example, has a waveform monitor and vectorscope built right into the camera. The waveform monitor shows a detailed view of overall image brightness and RGB components while the onboard vectorscope provides real-time image hue and saturation analysis. 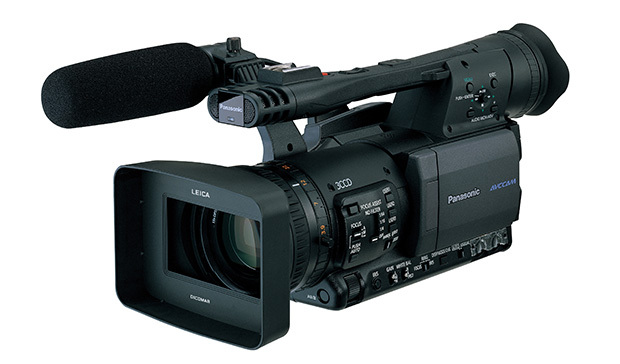 Other cameras with these T&M functions include the Panasonic AG-AF100 and AG-HMC150PJ. A laptop, a capture card and an appropriate piece of software are another alternative. In this scenario, something like Scopebox is great as you can add, arrange and resize as many monitoring tools as you want in full screen mode including Waveform, RGB Parade, RGB histogram, Preview Windows, Audio Meters and Vectorscope. Similarly, you can use Adobe Premiere Pro or Apple Final Cut Pros which both have built-in waveform monitors and vectorscopes. The former has YC Waveform, YCbCr Parade, and RGB Parade while Final Cut Pro also includes a histogram view more commonly found in photo editing software. Or theres which provides technically accurate waveform monitoring and comes bundled with the Blackmagic Cinema Camera. Using a monitor with Thunderbolt connector you can display six live scope views including Parade, Waveform, Vectorscope and Histogram.